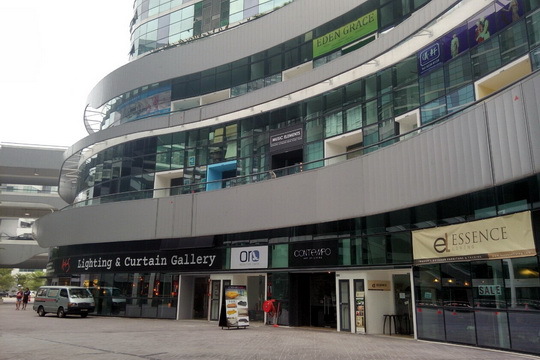 We are located directly above #01-35, above the ground floor unit "Lighting & Curtain Gallery" (see picture below). and the 3rd one on the left which leads to the drive-up ramp. You need to U-turn to drive up the ramp to the higher floors. Take this to drive up directly to our doorstep. There are plenty of parking lots at Oxley Bizhub especially on the ground floor and basement carpark. Ground floor - Turn RIGHT after entry and you can see plenty of open-air parking lots on the right side near 'My Outlets' supermarket. 2nd floor - limited parking places. There's one lot right in front of our unit but it's usually taken up. After entering Oxley Bizhub, go STRAIGHT in towards the 3rd toll gate on the LEFT and follow the sign to U-turn and drive up the ramp to the 2nd floor. Turn RIGHT after reaching 2nd floor, then left, then right again, and around here stop and find a parking lot nearby. Our store is a bit hidden behind Lobby 1. Click HERE for our exact store location on 2nd storey. 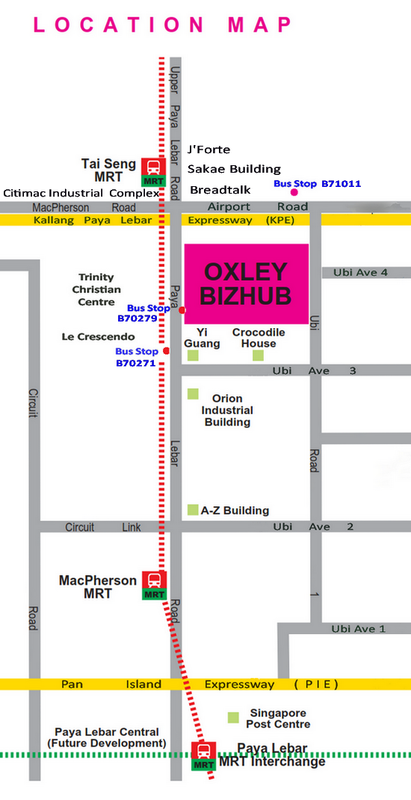 - walk to Bus Stop B70279 which is located right in front of Oxley Bizhub which consists of 3 main blocks. walk straight into Oxley Bizhub and keep to the right atrium/block (Blk 61) and follow the contour of the building, passing by Footloops bikeshop, Contempo, Lighting & Curtain Gallery. Our unit is the one with the blue doorframe on the 2nd floor (see picture below). Continue until you see the mini-mart at the end. - coming out from lift, make sure to turn left, push open the door and you'll see our store. - take the escalator and turn right to cross the overhead link bridge to the other building (Blk 61). - turn right again and continue along the corridor ... 1st unit is 'Brandt', 2nd unit is "Study Area", our store is the 3rd unit .